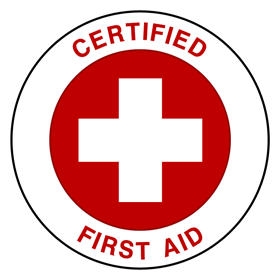 Certified Emergency Response Training (CERT) is an independent training agency providing instruction in First Aid, CPR and Occupational Health and Safety.Â Our program Â is recognized and accredited by the Heart And Stroke Foundation of Canada and the Workplace Safety and Insurance Board (WSIB).Â As such, we meet and exceed all applicable standards for workplace safety training. This one-day (6.5hrs) workplace specific program covers all topics required by the WSIB as well as a list of those determined by your specific work environment. Training in EFA is a workplace legislative requirement where fewer than five people work at a given workplace on any one shift. SFA is a two day training course that covers a variety of mandatory and selected topics. This training provides an in depth discussion of topics and allows time for scenarios. SFA is a legislative requirement under the WSIB Regulation 1101 for workplaces with more than five employees on any one shift at a given time. For course dates , please contact us prior to completing your registration.